Bearcub follows his mama wherever she goes. By Mama's side, he discovers how to catch a fish and dig for grubs. With Mama's help, he learns to climb a tree and find honey. One day, Bearcub is exploring the high country when the sky darkens and a storm blows in. But this time, Mama is not there. Frightened and alone, Bearcub must rely on himself -- and all that his mama has taught him -- to weather the fierce winter storm. 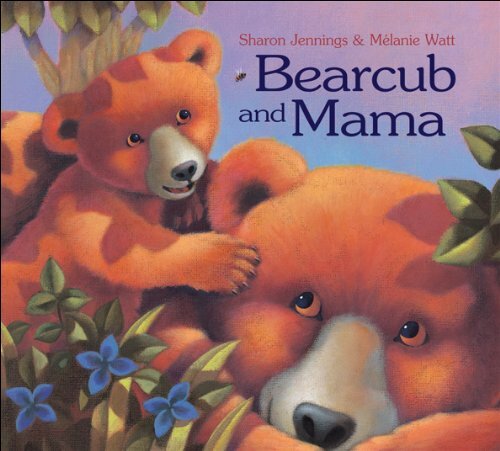 Told in simple, evocative language and illustrated in rich, luminous colors, Bearcub and Mama is a reassuring story about growing up and the powerful bond between mother and child.